Provide comfort for the family of King Murray with a meaningful gesture of sympathy. King Edward Murray was born on July 1, 1938 in Trenton, North Carolina to the late George Johnson and Irene Bryant Murray. He was named by his grandfather, after a cigar, “King Edward Cigars.” He departed this life on January 17, 2019 at Sentara Leigh Hospital in Virginia Beach, Virginia. In 1949, King moved to New York City and attended public school there. While attending school, he worked part time, delivering telegrams on his bicycle in the Bronx. King later joined the United States Navy. Soon after he had his first son, Audie Dean, whom he named after his favorite Western movie character. After his service in the Navy, he began his career in the trucking industry in New York. King relocated to Virginia, where he continued to drive truck until he gained a position with the electric company. He was also a mechanic; he could take apart and repair any car, without using a manual. During his retirement, King enjoyed sitting on the steps, no matter what the weather was, getting his fresh air and giving thumbs up to everyone that passed by. King was preceded in death by his parents and two granddaughters, Tiffany Murray and Tia Byrd. He leaves to cherish his memory: his wife, Margaret Murray; two sisters, Katrina Murray Barlow and Barbara Bryant Henderson; eight children, Audie Dean Murray, Carlton “Pac” McKinley, Alicia Snead, Sharone (Maurice) Brown, Denise (Frank) Pettit, Michael (Valerie) Custis, Ronnie Finley, and Ricky Ricardo Greene; grandchildren, Nekeke (Sherman) Thomas, Michael (Dominique) Laurie, Toni Murray, Janie Hargis, Shameka Cutler, and Kolika Gray; great grandchildren, Isaiah King, Noah, Joy, Jordan, Khyleel, Ameirah, Alexea, Aurbree, Zoey, Kiara, Makayla, Michael, and Sevyn; and a host of nieces, nephews, cousins, and dear friends. 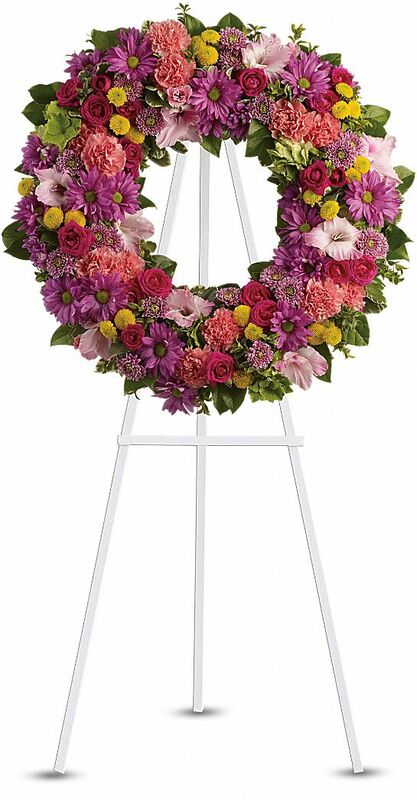 To send flowers in memory of King Edward Murray, please visit our Heartfelt Sympathies Store. Kinsey Dr. & Metompkin Rd. We encourage you to share your most beloved memories of King here, so that the family and other loved ones can always see it. You can upload cherished photographs, or share your favorite stories, and can even comment on those shared by others. Audie & Toni Murry, Virginia Ellis and Vicky Johns sent flowers to the family of King Edward Murray. Our deepest condolences to the family Murray our prayers go out to the family. We pray the love of God enfolds you during your journey through grief. Trust in God as he is our provider. Audie & Toni Murry, Virginia Ellis and Vicky Johns purchased the Ringed by Love for the family of King Murray.